The 1980s Ethiopian famous Athlete Miruts Yifter has died. Ethnic tensions in Gondar reflect the toxic nature of Ethiopian politics. A coach torched by anti-government protesters in Gondar, Ethiopia. In Gondar, a city in Ethiopia’s northern highlands, a lone tourist pauses to take a photo of a fortress built more than two centuries ago. Nearby, past a row of gift shops, lies the wreck of a coach torched during unrest in August. Gondar, known as “Africa’s Camelot”, was once the centre of the Ethiopian empire – at a time when that empire was defined mainly by Amhara traditions. Today, the city is facing new tensions that have a complex history. A territorial dispute between elites here in the Amhara region and those in neighbouring Tigray has been simmering for at least 25 years. Protests by the Oromo ethnic group have led to spiralling violence and a crackdown on dissent that risks long-term instability. 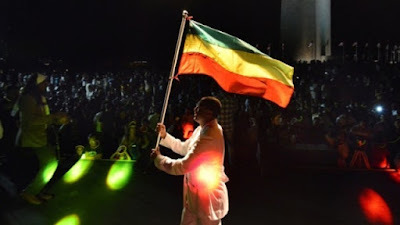 Tigrayans have been accused by opponents of wielding undue influence over Ethiopia’s government and security agencies since 1991. In recent months, these and other grievances have led to protests, strikes, vandalism and killings in Gondar, causing a drastic reduction in foreign visitors to the tourism-dependent city and an exodus of fearful Tigrayans. Shops and schools have reopened in Gondar, after the authorities reasserted control in urban areas by declaring a state of emergency on 8 October. But sporadic clashes with the military continue in the countryside. “We don’t feel like it is our country. We feel like it is the time when the Italians invaded. We are like second-class citizens,” says a prosperous local businessman. Like all interviewees, he requested anonymity due to fear of reprisals from the authorities. Europeans never colonised Ethiopia, but Mussolini’s army occupied the country from 1936 to 1941. Gondar’s predicament is a microcosm of Ethiopia’s: a toxic brew of uneven development, polarised debate amid a virtual media vacuum, contested history, ethnic tensions, a fragmented opposition and an authoritarian government. Ethiopia’s rulers show few signs of being able to solve the morass of problems, which many believe the government itself caused. Trouble began in Gondar in July 2015, when word went around that the authorities intended to arrest Col Demeke Zewdu, a former rebel and retired military officer.When security forces tried to arrest Zewdu, who is a member of a committee campaigning over the contested Wolkait territory, armed Amharas protected him and several people, including security officers, were killed. Wolkait is an administrative district in Tigray that borders Amhara. The committee says Wolkait and others areas were taken out of Gondar’s control by the Tigrayan People’s Liberation Front in 1992, when Ethiopia was divided into a federation along ethno-linguistic lines. Allied rebels led by the TPLF, who unseated a military regime in 1991, introduced the system and still monopolise power. 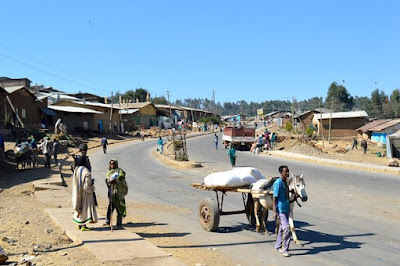 Critics of the committee point out that a 1994 census found more than 96% of the people of Wolkait were Tigrayan , and that the complaints of annexation stem from the town of Gondar, not the district itself. The activists say the TPLF moved Tigrayans into the area during the rebellion. The issue struck a chord in Gondar. After Demeke’s arrest, rural militiamen paraded through the city on 31 July, firing bullets into the air during a large, peaceful demonstration. It is thought that the demonstration was facilitated by the Amhara wing of the TPLF-founded Ethiopian People’s Revolutionary Democratic Front (EPRDF) – a four-party coalition that, along with allied organisations, controls all the country’s legislative seats. A Tigrayan lecturer at Gondar University said he abhors Ethiopia’s ethnicised politics and believes jostling between the Amhara and Tigrayan EPRDF wings lay behind the Gondar violence. The TPLF is the predominant party in the EPRDF, and Amhara National Democratic Movement politicians are seeking greater power, he said. “I don’t believe in parties which are organised on ethnicity. I prefer it to be based on the individual.” An end to ethnic politics would make a resolution of the Wolkait issue possible, he believes. Among activists from Amhara, disavowal of the ethnicity-based system is at the crux of disagreements over how to oppose the EPRDF. Because federalism formally protects the rights of communities marginalised during previous eras, when Ethiopia was a unitary state, promoting national unity at the expense of ethnic autonomy is often cast as regressive. Groups promoting Amhara identity within a democratised federation are therefore at odds with those focused on national cohesion, according to Wondwesen Tafesse, a commentator on Amhara issues. “Since most diaspora Amharas support Ethiopianist political parties, they seem to have this fear in the back of their mind that a resurgent Amhara nationalism, and the possible emergence of a strong Amhara political organisation, might undermine their political designs,” said Wondwesen. In the weeks after Demeke’s detainment, there was more unrest, amid allegations that Tigrayan businesses were being targeted and Tigrayans attacked. 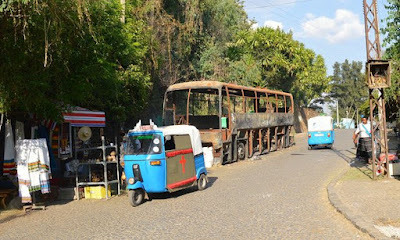 People in Gondar say the companies were targeted because of their connections with the regime, rather than the owners’ ethnicity. Unrest in Amhara was preceded by protests by the Oromo, Ethiopia’s largest ethnic group, who also complain of marginalisation and repression. In response, the government has reshuffled officials – and intensified repression. During the state of emergency, the government has sent at least 24,000 people to camps for indoctrination under rules that allow the suspension of due process. According to the Association for Human Rights in Ethiopia, security forces killed some 600 demonstrators over the past year. Since the beginning of November, a new federal cabinet has been announced and similar changes made in the Amhara government. But while maladministration and corruption were tagged as the pre-eminent problems, there is little evidence of officials being punished, or of policy reforms. An Amhara government spokesman said systemic changes were not required. In August, on the outskirts of Gondar near Demeke’s neighbourhood, a crowd looted Baher Selam hotel. It was targeted following a rumour that the Tigrayan security officers allegedly involved in the operation to arrest the colonel were staying there. Near the wrecked hotel, an elderly lady was roasting coffee beans. On the morning of the incident she was coming home from church when she heard gunshots.Business has since declined and large numbers of unemployed young people have been mobilised against the government, she said. Dear Gudayachin,there is one important point that you missed that would actually make your frustration (የጉዳያችን ስጋት ግን ገዳዩ ማንም ሆነ ማን ሩስያ በሳውዲ አረብያ ላይ የአየር ጥቃት ለመፈፀም ከእዚህ ጊዜ የተሻለ የማታገኝ መሆኑን ልታስብ ብትችል እና ብታደርገውስ የሚል ነው)the impossible nightmare. I don’t think that you have the clue what kind of agreement Saudi Arabia has with United States since 1973. It is a deep politics but I will try to put it as short as possible. At the final days of the second world war three international organizations have been established UN, IMF and World Bank. While IMF was established at the Bretton-wood Conference all participant countries agreed that the US dollar to be a world reserve currency. And they fixed 35 America dollar worth 1 ounce of gold. Which means if any country wants to change its dollar reserve to gold, it can go to US Federal Reserve Bank and change the equivalent amount of gold.And because of that every country used dollar as transaction currency between countries. And dollar demand skyrocketed. At this point the United States government starts to print dollar without having equivalent amount of gold reserve. And France and Germany started suspicious that the US government is printing and distributing just a fiat money with no back of gold. So, they asked the US Federal reserve to change their excess dollar reserve into gold. By then the US government did one funny thing. All this happened in 1973 while Richard Nixon was on power. Just one morning Nixon come to TV screen and told the world that the US closed the gold window. Which means, the US government never change your dollar into gold. “Might is Right” worked at this point. But the Americans were not stupid. They know that unless and otherwise they do something, no body needs to have dollar or use dollar as an international transaction currency. So, before they closed the gold window, the then national security adviser (later Secretary of State) to President Nixon, Henry Kissinger went to Saudi Arabia to cut the infamous “Petro-Dollar-Security Pact.” The crux of the pact was just the Saudi-Arabian Government at the start and later all the gulf monarchies will sale their oil with US DOLLAR ONLY and in return United States will give protection for the monarchies. And since then every country needs the US dollar to buy oil. For example, Euro is stronger than US Dollar but Germany must have the US Dollar to buy oil from middle east. No country will sale it by euro. So, the US Simply print a bunch of green paper and distribute to the world. Any gulf nation that would try to challenge the deal will face the fate of Saddam Hussien. So, Dear Editor-in-Chief of Gudayachin, it is not as simple as you imagined to carpet bomb Saudi Arabia by any force including putin unless he gets the green light from US. It will be a nuclear confrontation. The power of united states lies on the power of dollar. And any earthly power that challenge the status quo is a deadly threat to US. And Putin knows this better than anybody else. Frankly speaking, there is near to zero probability that the Saudi security apparatus has a significant role to kill the ambassador. Of course the assassin is not just a nut lone assassin. There would be strong hand. Who has interest in Syria? Russia, Iran on one camp; and Israel, Turkey, Qatar, Saudi Arabia and United States on the other camp. So, we can predict that the masters of the planet (either CIA or the Mossad or Jointly could be the the real architects). May be that is a trap by these two intelligence apparatuses to drag putin to deploy boots in Syria then they will let him bleed white like the red army faced in Afghan (1979-1989). I have no time to list here what interest each of those countries have on Syria. But all of them have a strategic interest which is a game-changer both Geo-politically and Geo-economically. Thank you Dawit for your comment. You explained well how strong the Saudi security is protected by US both militarily and economically. However, I think the 1970s and 80s situation has started to be changed since 9/11 incidence. An official investigation result of the 9/11 terrorist action on New York city, finger to Saudi Arabia. Saudi Arabia means may not mentioned as state but the terrorists family and economic base is in Saudi Arabia. United States criticised both directly and indirectly as Saudi money was using to fund terrorism. 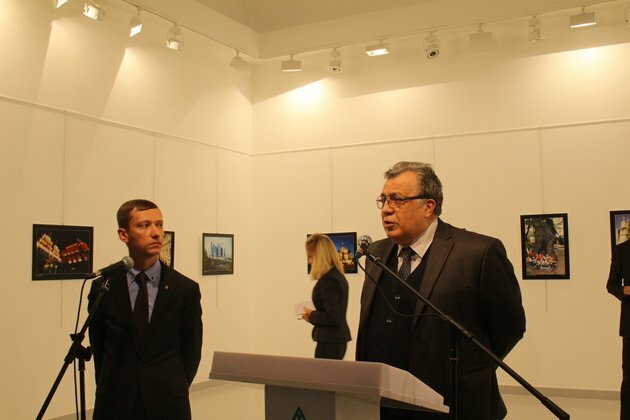 However, due to strong economic and strategic interest, US government could not push the issue officially. Since 2010, Saudi movement in middle east is quite changing. Saudi began to make her self as ¨regional supper power ¨ country. This was made together with UAE and Qatar. Since March, 2015, Saudi involved in Yemen civil war. Recently it began to build military camps in the Horn of Africa (Eritrea and Djibouti on process). Many international terrorists root of fund was found from Saudi side. In all this situation still US lost her courageous to control the Saudi move. On the other hand US is attracted with Saudi purchasing power of armaments and sophisticated military jets from her own market. Therefore even US knows Saudi is moving to ¨the wrong direction¨, it focuses only on her current interest. However, it does not mean US do not have fear on Saudi moves. That is why the US strategic interest in middle east is started to change. The good example is the US agreement with Iran on Iranian Nuclear power installation. Currently US do not feel safe from Saudi money funded terrorists act in different factional groups in middle east. Because US know such a kind of gup will creat an ideological challenge to west with antagonistic situation between the west and middle east in future. Regarding Russia, Saudi means one of the source of fund to Syria and Yemen conflict.In fact Iran involvement, on the other side, should not be forgotten. So even if Syria war has stopped, Russia may think as there is no guarantee unless Saudi and Quatar are obliged to collect their hands from any form of involvement in supporting opposition groups particularly in Syria. Therefore if Russia took some military action on Saudi, I think no body should be surprised . In fact Russia decision to take some military action against Saudi may not lead to full scale war. Because Russia may not be ready to do in such a way. But it may plan to give some lesson through bombarding some strategic military places in Saudi. Here in all move US might be consulted at the back door. The question that should be raised here is that what is the gain that US and Russia will get from Russia military act against Saudi? I think to Russia; one, it will show her shadow on middle east. Two, it will help to increase oil price which gives market benefit to Russia Oil production (in fact other producers will be benefited also). Three, it will give guarantee to Syria and Yemen peace by giving strong warning to Saudi. Incase of US; it will increase the importance of US army presence in Saudi. So US will increase her price on Saudi. US can say, if US is not present in Saudi, Saudi security is nothing but exposed to foreign powers. 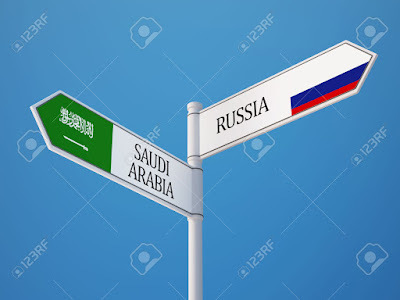 Generally Russia action on Saudi has bilateral interest for both US and Russia from different perspectives. It is quite clear also US did not plan to clash directly with Saudi. But a lesson given by Russia may help US to speak louder and boost as its presence help Saudi not to go Russia to full scale war. Saudi will reflect the same motto. Then life continues as usual. ባንኪሙንን የሚተኩት ፖርቹጋላዊው አዲሱ የተባበሩት መንግሥታት ዋና ፀሐፊ አንቶንዮ ጉተሬስ (Antonio Guterres) ማን ናቸው? 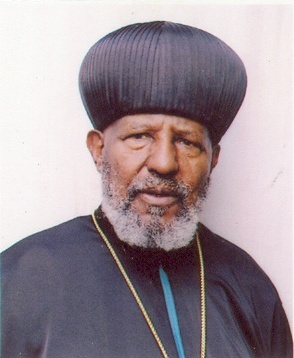 Ethiopian Orthodox Tewahido Church Bishop (Abune) Elsae was under prison by TPLF command post. Inside Story - Are Christians being targeted in Egypt? አልጀዚራ እና የኖቤል ሽልማት ማዕከል በበቀጥታ ስርጭት ላይ እንድገኝ ስለጋበዙኝ በጉዳያችን ስም አመሰግናለሁ።On behalf of ´Gudayachn´, I need to thank Al Jazeera and Nobel Peace Price Centre for inviting me to attend live interview. Al Jazeera English to air live interview with 2016 Nobel Peace Prize winner on Saturday, Dec.10,2016. Al Jazeera’s James Bays and Folly Bah Thibault will be talking live to the Colombian president and Nobel peace prize winner Juan Manuel Santos in Oslo. Santos won the award for his efforts in negotiating a peace deal with FARC rebels – ending Latin America’s longest conflict. In a live, one-hour interview, Al Jazeera will look at how the peace deal came about, and how Santos now faces the challenge of implementing a plan that was initially rejected by Colombians in a referendum. The Norwegian Nobel Committee decided to award the Nobel Peace Prize for 2016 to Santos for his resolute efforts to bring the country’s more than 50-year-long civil war to an end, a war that has cost the lives of at least 220,000 Colombians and displaced close to six million people. Follow the ceremony and Al Jazeera’s news coverage from the weekend’s events in Oslo, followed by the Nobel Interview with Juan Manuel Santos in this exclusive interview. Forskningsdirektør ved Chr. Michelsens Institutt (CMI) i Bergen. Hun forsker spesielt på menneskerettigheter og styresett i landene på Afrikas Horn. Det siste året har Etiopia vore prega av spreidde, men likevel omfattande protestar. 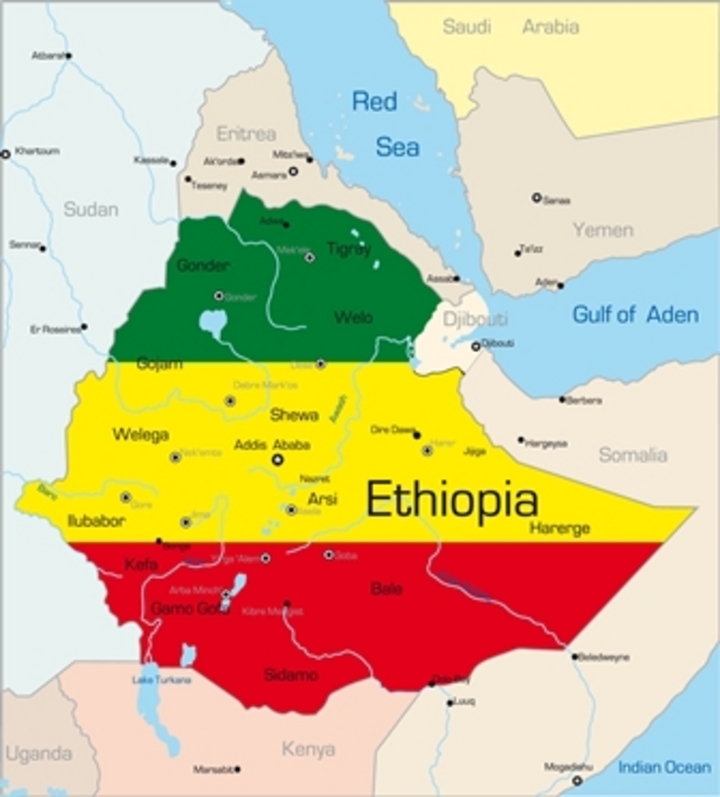 Demonstrasjonar i dei to mest folkerike regionane, Oromia og Amhara, har ført til at Etiopia ikkje lenger kan framstille seg som ei oase av ro i eit elles ustabilt hjørne av Afrika. Regimet har dermed mista trumfkortet sitt, stabilitet, og posisjonen som vestens viktigaste allierte på Afrikas horn er truga. Unntakstilstanden som vart annonsert den 8. oktober gjev styresmaktene fullmakter til å kneble alle forsøk på protest eller kritisk ytring, og til å setje til side omsynet til allereie pressa grunnleggjande menneskerettar. Det svært innsnevra rommet for opposisjon er difor ytterlegare lukka, og høvet til dialog og forhandlingar er minimale. Dette gjev grunn til å tru at demonstrantane, om enn knebla, vil halde fram, og at Etiopia kjem til å vere ustabilt i lang tid framover. Det er grunn til å tru at demonstrantane, om enn knebla, vil halde fram, og at Etiopia kjem til å vere ustabilt i lang did framer. Etiopia er no inne i den største politiske krisa i landet sidan Meles Zenawi, statsministeren som hadde styrt landet sidan 1991, døydde i 2012. Det byrja som ein protest mot utviding av hovudstaden Addis Ababa og ekspropriasjon av land frå oromo-bønder nær byen i april 2014, og har halde fram som sporadiske, men omfattande demonstrasjonar i byar og tettstader over store delar av Oromia sidan november 2015. I tillegg til landspørsmålet har klagemåla dreidd seg om korrupte politiske leiarar og den generelle mangelen på politisk fridom og menneskerettar under EPRDF (Ethiopian People’s Revolutionary Democratic Front). I august 2016 tok det ei ny vending, då folk gjekk ut i gatene også i fleire byar i Amhara, ein region der vi ikkje har sett slike protestar før. Her demonstrerte folk på bakgrunn av ein gamal klage om eit område med amharisktalande folk som vart inkludert i naboregionen Tigray på 1990-talet. Det var også meir generelle protestar mot regimet. I løpet av første helga i august vart om lag 100 menneske drepne under demonstrasjonar i Amhara og Oromia. Den siste alvorlege hendinga fann stad under ein tradisjonell religiøs oromo-festival i byrjinga av oktober, der minst 55 menneske vart drepne etter at føderale tryggingsstyrkar greip inn og det oppstod panikk i dei store folkemengdene. Dødsfalla og handsaminga frå tryggingsstyrkane leidde til nye prostestar i heile Oromia, og påfølgjande åtak på utanlandske fabrikkar og statlege institusjonar. Dette var bakgrunnen for unntakstilstanden, som vart innført for seks månader frå 8. oktober 2016. Statsminister Hailemariam Dessalegn har bekrefta om lag 500 menneske er drepne under opptøyene det siste året, og har innrømma at meir enn 1600 er arresterte. Men talet på arresterte er sannsynlegvis mykje større, noko styresmaktene indirekte har innrømma, då dei erklærte at 2000 av dei var frigjevne 30. oktober. Røynsler frå tidlegare viser at massearrestasjonar av titusenvis er det vanlege virkemiddelet for å demme opp for politisk aktivisme. Demonstrantane og potensielle demonstrantar vert då internerte i leirar i opp til ein månad og vert utsette for hard fysisk disiplinering og indoktrinering, for så å verte lauslatne. Eit kjenneteikn ved protestane er at dei framstår som lite organiserte og har mangel på klar leiarskap. Dei tradisjonelle opposisjonspartia har spela ei minimal rolle, medan skuleelevar og studentar, ved hjelp av sosiale media, ser ut til å ha vore avgjerande for mobiliseringa. EPRDF har skulda etiopiske aktivistar i utlandet for å stå bak. 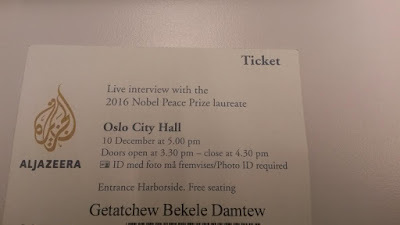 Det er usikkert kor viktig denne diasporaen har vore, men EPRDF har eigeninteresse i å framstille dei som avgjerande. Når skulda leggast på oppviglarar utanfrå, inkludert bidrag frå fiendtlege makter som Eritrea og Egypt, framstår det som mindre sannsynleg at krava frå demonstrantane er legitime og har støtte hos det etiopiske folket. Skiljet går ikkje mellom dei som er Tigray og dei som ikkje er det, men på om ein er del av regjeringspartiets nettverket eller ikkje. Det er likevel all grunn til å forstå protestane som eit uttrykk for misnøye med regimet. EPRDF har sete med makta i meir enn 25 år, og i løpet av desse åra har det skjedd ein gradvis innskrenking av politiske og sivile rettar, mellom anna gjennom nye lover som regulerer sivilsamfunn og opposisjon og gjev vide fullmakter til tiltak mot terrorvirksomhet. Etter valet i 2015 kontrollerer EPRDF no alle setene både i nasjonalforsamlinga, i regionale delstatsforsamlingar og i lokalt valde organ. Frustrasjonen over landekspropriasjon er også eit uttrykk for misnøye med gapet mellom liv og lære i det føderale Etiopia. Det etiopiske grunnlova gjev dei regionale delstatane stor grad av sjølvstyre, også til å kontrollere eige land, medan det i realiteten er den sentrale partileiinga som avgjer når politiske og økonomiske interesser står på spel. Sentralregjeringa si inngripen i økonomien, i utviklingas namn, har svekka regionale styresmakter si evne til å ta sjølvstendige avgjerder. Landekspropriasjon er spesielt utbreidd i Oromia, og oromo-folket, som representerer ein tredel av den 100 millionar store folkesetnaden, har uttrykt at dei kjenner seg marginaliserte. Når det i tillegg har vore mykje korrupsjon avdekka i sal av land, gjev det grobotn for misnøye. Trass i ein gjennomsnittleg økonomisk vekst på 10 prosent dei siste ti åra, er det mangel på økonomiske moglegheiter og arbeid for ungdom. Dette er noko av grunnen til at dei unge har vore sentrale i protestane. Utan håp om ei framtid er dei villige til å ta risiko. Det vert ofte spela på ei oppfatninga om at det er Tigray-folket, som utgjer ca 6 prosent av folkesetnaden, som har fått uforholdsmessig stor del av vinsten frå den gode økonomiske utviklinga. Dette er ei forenkling. Sjølv om TPLF (Tigrayfolkets frigjeringsfront) framleis dominerer koalisjonen EPRDF, så er EPRDF kome til gjennom eliteforhandlingar der kvar av dei fire partia sine leiarar og deira nettverk har fått tilgang på makt og ressursar. Dagens statsminister er frå Sør-Etiopia, frå ei av dei tradisjonelt marginaliserte gruppene. Skiljet går ikkje mellom dei som er Tigray og dei som ikkje er det, men på om ein er del av det store EPRDF-nettverket eller ikkje. Det er liten skilnad mellom stat og parti i Etiopia, og regjeringspartiet brukar både statens ressursar og statleg byråkrati til å styrke sin posisjon. Folks sinne mot partiet har difor kome til utrykk gjennom åtak på statleg eigedom, slik som helsestasjonar og ambulansar. mot samla og større politisk protest? Det store spørsmålet er om protestane kan verte slått saman i ein større politisk protest mot regimet. Det er dette regjeringa er redde for – og det er difor dei slår så hardt ned på protestane. EPRDF sin manglande evne til å kvele opprøret kan også truge den interne leiarskapen i regjeringspartiet. Sjølv om det er lite informasjon om dei indre forholda i partiet etter Meles Zenawi, så kjem det fram ei tydeleg spenning mellom ulike delar av organisasjonen, delvis mellom dei ulike etniske gruppene og delvis innad i TPLF. Dersom leiinga ikkje stansar protestane, kan krefter i TPLF som ynskjer å gå hardare til verks vinne den interne maktkampen. Dei militære kan også ta meir makt, dersom dei ser at politiske leiarar ikkje er i stand til å halde ro og orden. Desse forholda kan vere noko av bakgrunnen for innføringa av unntakstilstand – den kan fungere som eit sterkt signal til andre delar av maktapparatet om at ein er i stand til å gjenopprette kontroll. Situasjonen gjev liten grunn til å tru på politisk reform. Regjeringas lovnader om nasjonal dialog og reform av valsystemet har stilna sidan unntakstilstanden blei innført. Ei utskifting av statsråder i regjeringai byrjinga av november var meint som eit forsøk på å få ei meir representativ regjering med fleire oromoar. Men det har elles ikkje ført til meir fundamentale endringar, noko som truleg er nødvendig for å kome demonstrantane i møte. Fortsatt ustabilitet i Etiopia set fleire vestlege politiske prosjekt på Afrikas horn i fare, noko som i siste instans også vil svekke det etiopiske regimet. Etiopia som ein stabil alliert i den amerikanske kampen mot terror vert utfordra. Etiopia som ein viktig partnar for EU for å stoppe migrasjon til Europa kan kollapse. Landet har nettopp fått 500 millionar USD frå EU for å skape industriarbeidsplassar for 30.000 flyktningar, for å hindre dei å reise vidare til Europa (Etiopia husar no 730.000 flyktningar, mange av dei eritrearar på veg til Europa). Utanlandske investorar, som etablerte seg i Etiopia nettopp fordi landet kunne tilby stabilitet, vil sannsynlegvis trekkje seg ut. Turistane, som har kome i stadig aukande tal til landet, vil slutte å kome. Dette kan få store følgjer for den økonomiske utviklinga i landet, noko som igjen vil underminere EPRDFs store politiske prosjekt, som er å få landet opp på mellominntektsnivå innan 2030. Dette scenariet ser sannsynlegvis den politiske leiinga også, og vel difor å setje i verk sterke verkemiddel for å gjeninnføre stabilitet. Det største problemet, at dei brukar verkemiddel som på lenger sikt ikkje vil skape stabilitet, ser dei derimot ikkje ut til å ha innsett. The quarter century rule of one party system with dictatorial and ethno-lingustic political system led by TPLF is pushing Ethiopia to local and regional crises. State of emergency has declared six weeks back. According to the state of emergency declaration, Any armed TPLF personal has right to kill and arrest. In the last 5 weeks only, over 11,000 Ethiopians (this is official figure given by the ruling party, TPLF) are arrested and other thousands are killed only for demanding their rights peacefully. 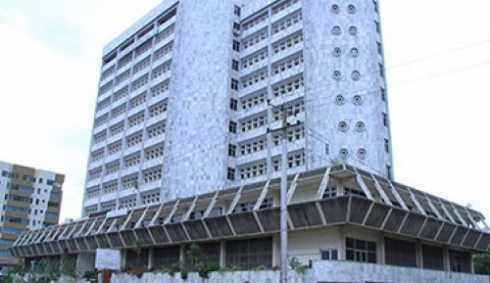 The number of prisoners are much higher than TPLF has disclosed. 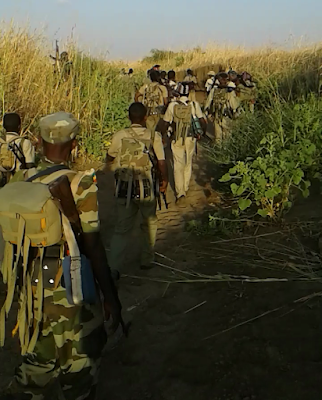 Currently armed resistance forces specially in Amhara region are fighting with TPLF army. This has happened after the ignorance of the regime for the grievance of the people. The below foto speaks a lot. Reuters photographer take the picture of one family and neighbours crying after they lost their family member boy by the TPLF soldiers. The picture represent millions of Ethiopians day to day life under the current TPLF regime. International community including USA and European Union should take part of responsibility to Ethiopians suffer under TPLF. Because they are the main financial sources to the brutal regime. On April 25/2016, the Africa Security Initiative at Brookings hosted a discussion examining the security situation in Ethiopia, in broader political, economic, and regional context. Please Note: - This discussion was held before Amhara region armed struggle against the brutal TPLF/EPRDF regime was started on July, 2016. Currently state of emergency has declared by Ethiopian government led by TPLF. According to TPLF´s press release, three weeks back, over 11,000 Ethiopians are imprisoned since the state emergency was declared. The very new event (which is not in fact event) armed resistance groups from Amhara region and Eritrean based Patriotic Ginbot 7 movement for unity and democracy have launched new offensive against TPLF army. One hundred years ago, founded Board of Trustees and scholars opened the doors of the world’s first independent organization devoted to public-policy research. Breaking News: A heavy fight broke out between Ethiopian government and Patriotic Ginbot 7 forces. 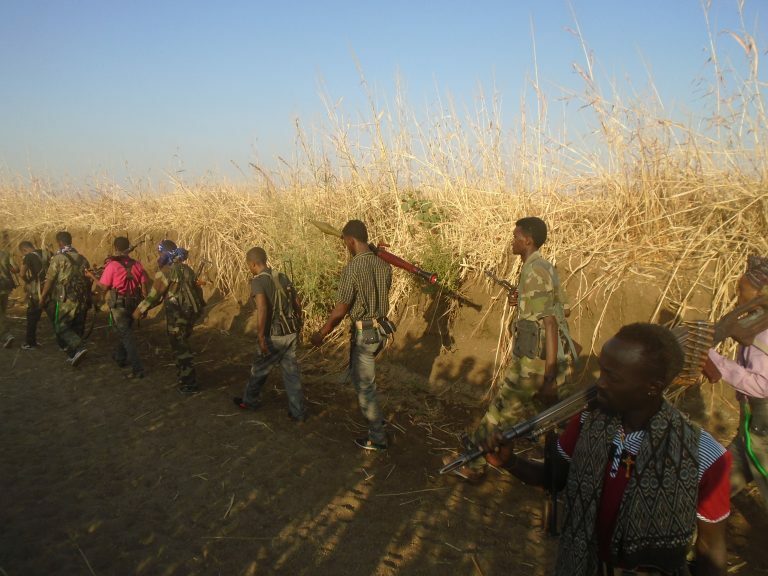 A heavy fight between Ethiopian government troops and Patriotic Ginbot 7 forces broke out in the outskirts of Gonder. Abbay Media sources from the war zone confirmed that there have been very heavy fight going on between the two foes since yesterday. This is the first time that the Ethiopian army used its military Tanks and sophisticated machine guns against Patriotic Ginbot 7 forces. Our sources who are participated in this fight told us that there are casualties from both sides. From Patriotic Ginbot 7 side, three of its division (Ganta) leaders have been killed and three other fighters surrendered on the battlefield. In the other hand, from the government side, more than Thirty government troops killed by patriotic forces. In addition, unknown numbers of government troops have surrendered to Patriotic Ginbot 7 forces. 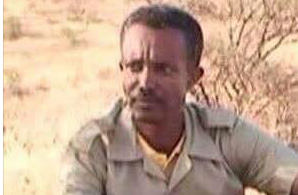 During the fight, Patriotic Ginbot 7 Movement for Unity and Democracy ranking official, commander Mesafent Tegabu nicknamed Gebrye refused to surrender and killed himself on the battlefield. When he was asked to surrender, commander Tegabu claimed that he is the son of King Tewodros and he would rather kill himself instead of giving himself up to the fascist regime. After fierce fight with heavily armed with Tanks and machine guns government troops, commander Tegabu refused to give himself up and shot and killed himself. ካልተወያዩ ኢትዮጵያን በምኞት አይገነቧትም።ሃሳባችንን እናካፍል! • ታዲያ በደረስንበት በዘመነ የተቋሚዎች ኣሰላለፍ ምን ይመስላል? 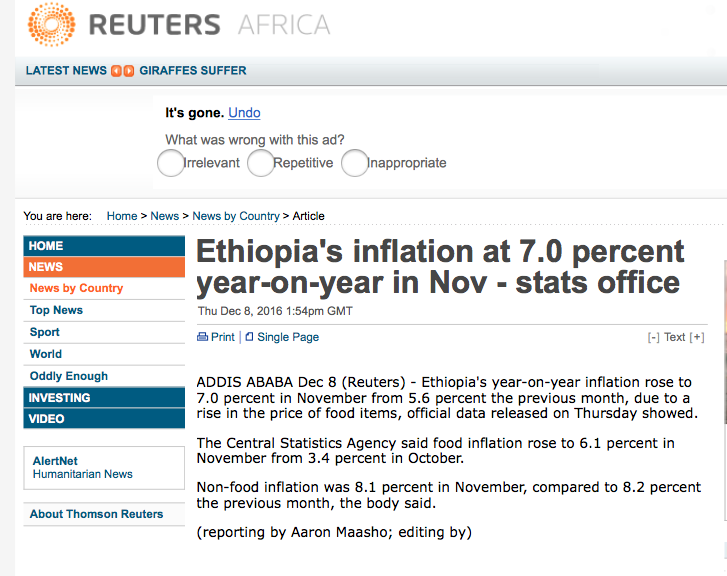 • በተለይ በነፃ የመደራጀት እድል ያላቸው በውጭ ኣገር የሚገኙ ተቃዋሚዎች ኣሰላለፍ ምን ይመስላል? • በኣደረጃጀት ዙሪያ በርካታ ጠንክር ጠንከር ያሉ መተቻቸቶች ይታያሉ::ትችቶች ገንቢ ናቸው? • የተቀዋሚው ኣደረጃጀት በቂ ነው? • ራሳቸውንና ህዝቡን ለመከላከል በጎበዝ ኣለቃ ተደራጅተው እየታገሉ እንዳሉ እየተሰማ ነው።በቂ ትኩረትና ድጋፍ ኣግኝተዋል? ካላገኙ ለምን? ሕዝብ በውጭ እና በአገር ቤት ያለው ምን እያደረገ ነው? Tension between TPLF led, Ethiopia and Egypt is increasing; A couple of Egyptian citizens residing in Addis Ababa are arrested. According to sources from Addis Ababa a number of Egyptians were arrested by Tigray Peoples Libration Front (TPLF) led-government security personnel. Ethiopian Weekly news paper, Capital on Nov.7,2016 issue, confirmed as a number of Egyptians are under Ethiopian security forces since October 31. The well known hotel, Addis Ababa Radisson Blue Hotel Executive Assistant Manager Taha Mansour was one of the arrested Egyptian citizen on Monday, October 31,2016.Taha has been working at the Radisson Blu since November 2012. 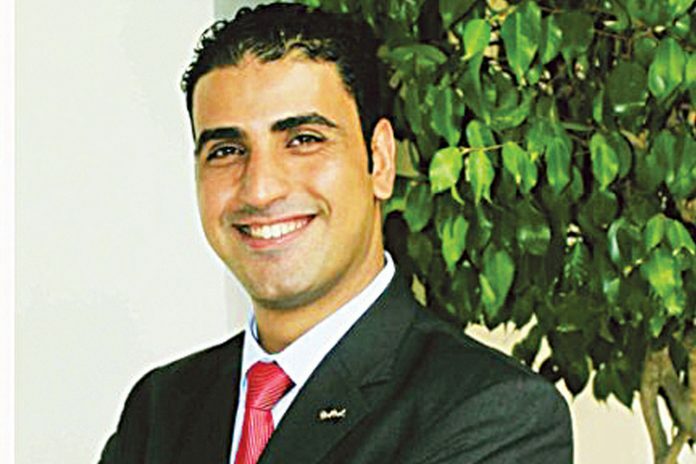 That is after he moved from Radisson Blu Resort El Quseir, in Egypt. On the same day another Egyptian from his office was captured.The organisation name and individual´s name is not yet disclosed. State television of Ethiopia made a number of documentary films accusing Egypt for assistance Ethiopian opposition forces. 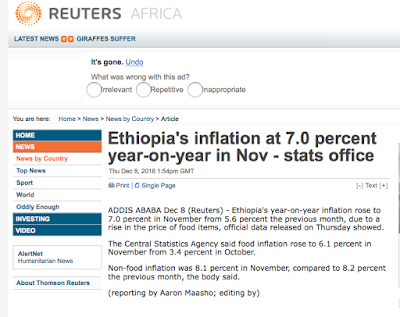 While Egyptian officials repeatedly denied for Ethiopian Government accuses. It is known that Ethiopia is under state of emergency to crash protesters against TPLF brutal government.According to articles of state of emergency declared 6 weeks back, main highways from the capital take to southern, northern, western and eastern part of the country are under the title of ´´red line´´ meaning no one is allowed to approach them with out the information of the command post.